Directed by Nick Broomfield and Rudi Dolezal, Whitney: Can I Be Me is a documentary film about the life and death of singer Whitney Houston told through interviews with those who were close to her as well as rare footage of her 1999 world tour which where some believed everything about her unraveled. The film is an unconventional documentary that showcases Houston’s rise as a megastar in the 1980s and 1990s but also her own personal struggles with herself that lead to her dependency on drugs which lead to her eventual death. The result is a chilling and sobering film from Nick Broomfield and Rudi Dolezal. On February 11, 2012, singer Whitney Houston had died at the age of 48 in a bathtub at a hotel in Beverly Hills as the announcement was a major shock all over the world. Yet, there were those who knew her and were close to her saw the news as something they had expected as the documentary reveals not just the events of her decline. During the course of the film, Nick Broomfield and Rudi Dolezal would cover her early years in Newark, New Jersey where she was born as well her early rise to fame where she was mentored by Arista Records founder Clive Davis and many others as this idea of the quintessential African-American pop princess. It was a role where despite the array of awards, massive records sales, and acceptance by everyone, Houston had a hard time playing that role as the reality came to ahead at the 1989 Soul Train Music Awards where she was booed when she was announced as a nominee. That same night, she would meet R&B bad boy Bobby Brown whom she would marry a few years later and gain a daughter in Bobbi Kristina in 1993 as they would marry until 2007 when they divorced. The film does chronicle their tumultuous marriage as two people who both born in African-American communities with dependencies on substances as the marriage would be wild. Yet, there are also comments about Houston’s relationship with longtime friend Robyn Crawford as it is rumored that Houston had a lesbian relationship with Crawford. This closeness with Crawford would cause a lot of issues as it relates to Brown as he and Crawford didn’t like each other as the tension between the two was at its peak during the European leg of Houston’s 1999 tour promoting her 1998 album My Love is Your Love. The 1999 tour is the key aspect of the film as it was directed by Dolezal with a camera crew as a tour documentary that never got released. The footage would showcase not just the growing tension between Brown and Crawford but also some of the backstage antics that occurred with Houston as Brown would become more involved in the tour even though Crawford was the tour’s creative director. There are performances shown in the film as well as new interviews with many who were part of the tour including a hairstylist who was one of Houston’s longtime friends as she commented about Houston’s physical and emotional state. The footage would also play into moments that are fun and lighthearted as it relates to Houston with Brown or with Crawford but some of it showcase how it would unravel as many believe that Crawford was the person that tried very hard to get Houston off of drugs. When the tour ended, Crawford left Houston’s camp and never returned as many felt that Crawford’s departure from Houston’s life was the beginning of the end. Broomfield would do many of the new interviews with the help of cinematographer Sam Mitchell as musicians, backup singers, and a few others including Houston’s brothers, and her mother in famed gospel singer Cissy Houston are among those interviewed for the film. Two of the people interviewed in the film such as Houston’s longtime hairstylist and a British bodyguard who worked with Houston from 1988-1995 are among those who really talk about Houston’s drug abuse as well as the chaos in her life. Houston’s hairstylist and Houston’s brothers would admit that Houston had done drugs when she was a teenager as it wasn’t serious until she met Brown who wasn’t into drugs but was into alcohol as the combination of those two substances led to trouble. Houston’s bodyguard would talk about that troubled relationship as well as a story about Houston overdosing on cocaine during the production of Waiting to Exhale as he would write a report about the need for an intervention which was dismissed by those wanting to maintain Houston’s career when it was hot. With the aid of editor Mark Hoeferlin and sound re-recording mixer Mark Adrian Rozett, Broomfield and Dolezal would gather a lot of interviews from Houston in the past as well as audio interviews as it play into her struggles with not just substance abuse but also herself and her devotion to God as she originally aspired to be a gospel singer like her mother. Much of the music presented in the film is essentially Houston’s from live performances due to the fact that Broomfield and Dolezal are unable to get full permission from Houston’s estate to use her music while the score music by Nick Laird-Clowes is very low-key in its ambient-setting as it play into Houston’s own emotional state. Especially as the film would stop at 2006 in Jamaica where Houston is vacationing with her family and a drug counselor as it marked the end of her relationship with Brown. Whitney: Can I Be Me is a marvelous film from Nick Broomfield and Rudi Dolezal. It’s a very chilling documentary that explores the life of one of the greatest singers who ever lived and her tragic fall as well as a woman wanting to maintain her identity when the industry wanted to be America’s pop princess. 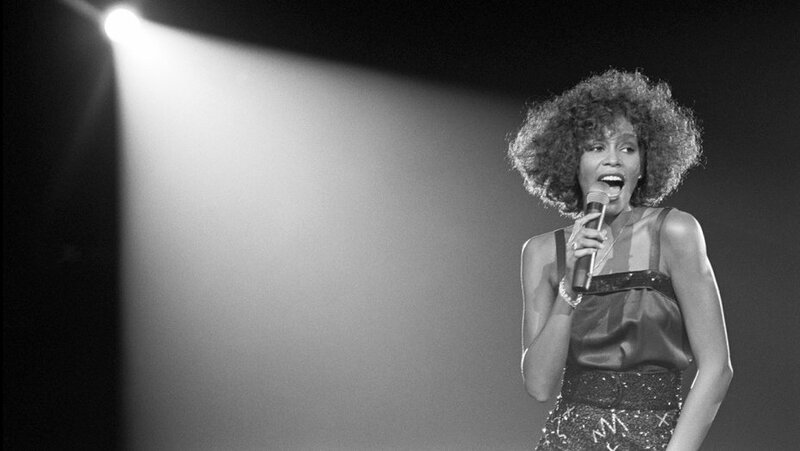 In the end, Whitney: Can I Be Me is a remarkable film from Nick Broomfield and Rudi Dolezal.